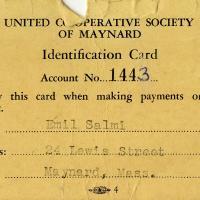 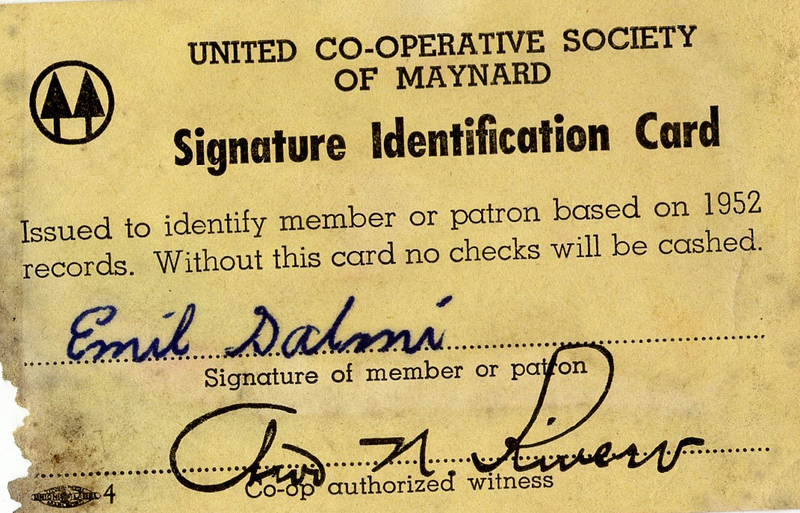 Two United Co-op Society of Maynard ID Cards for Emil Salmi of 24 Lewis Street, Maynard, Mass. 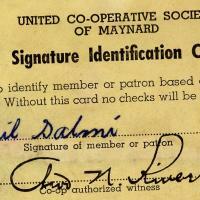 Paper, 2.5 x 4 in., 2 copies. 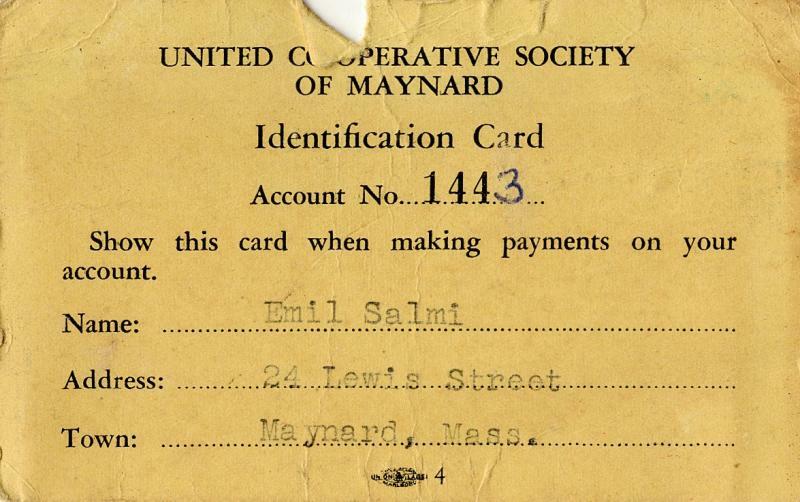 “United Co-op Cards for Emil Salmi,” Maynard Historical Society Archives, accessed April 24, 2019, http://collection.maynardhistory.org/items/show/6273.